My trip to Sacramento was FANTASTIC. I always come back MOTIVATED and INSPIRED. It is such a cool thing to be able to talk to the retailers who support me and the industry. I have found some of the dearest and closest friends that I have at these events. I was able to hear about the classes and projects that they are doing with my lines. Many are actually using my lines for their NSD projects. I am THANKFUL and APPRECIATIVE. I had the best time. The event was held at Embassy Suites and Joan Mills and her Rep group are simply AMAZING. I am so impressed with how smooth the event ran. It's always fun seeing my friends. I had no idea Jenni & Jared Bowlin were at the show too. I LOVE her! We are a lot a like...so I love chatting with her. I am so proud of her. She does amazing products and is the SWEETEST, most down to earth- southern girl. I was able to see Tim H. & Mario again. I love them both. It was so nice having time to catch up. You could not ask for nicer people to hang around with. I always go to Tim and Mario for advice. I trust their advice and am so impressed with all that Tim is able to accomplish in the industry...(he wears a lot of hats!!!!). Ken and Amy with Product Performers were with me. I could not be working with better people. They are truly fun, smart and know how to run their business. I greatly admire Ken and feel so thankful that we are able to work together. I have countless stores express to me how fantastic they are to order from. It's vital to offer good customer service and deliver when and how you promise. They do that and continually make my life 1,000% easier by taking care of the business end of my passion. I am free to focus on my designs. THANK YOU- Ken and Amy!!! Oh, I should say- I love Amy. She is one of those girls that YOU LOVE to hang out with. A few of us went to Joe's Crab Shack on Monday night, and had the best time. Tim suggested that I order the barbecue crab legs. I have to say... it was the BEST! I am not a huge barbecue lover, but this was AMAZING. I hope to take Ty there soon...maybe this weekend. It was delicious. The next morning, I was able to have breakfast with Melodee Langworthy. She is so talented and sweet. 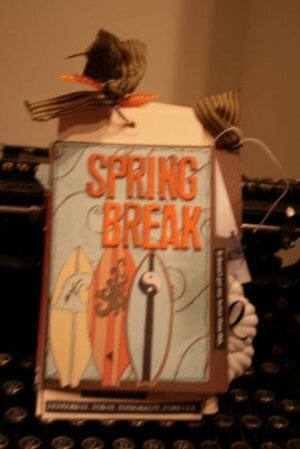 Then I taught a class using my new TRAVELOGUE collection to the retailers. You can order them NOW and they will start shipping TOMORROW...May 1st. You can see all the images at www.teresacollinsdesigns.com and if you are retailer- you can order them with Product Performers. It was great to teach a project with the papers at the show. Thank you everyone for your continued support. I want to share some layouts today. I wish I could post them all. FYI- we are adding projects to the website gallery. So keep an eye out for your creations there too!!!!! This is the CUTEST project designed by Lori Kaye. I LOVE it...and it reminds me that SUMMER is almost here. 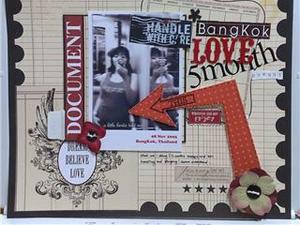 This is a layout from Bangkok- by Dorcas Yam. I really loved to see the playfulness of her style. 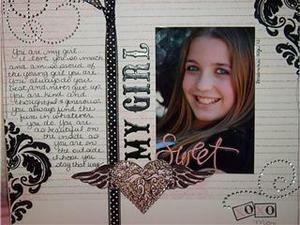 She made Journal-it so FUN! This Bella Girl layout- mixed with the die cuts- is fantastic. It was a class, designed and taught by Claire Wheatley in the UK. She taught 130 students this layout... Love it!!!! Another layout that I wanted to share. This is by the talented Lynda Volz. I simply LOVE it! This small image does not do it justice. This is only one image of the most DARLING book by Heidi Sonboul. 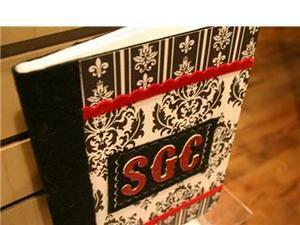 It is a mixture of journal it and damask. I was impressed with her details to document her life. Cute project Heidi!!!! I think I may have already showed this one- but it's so cool, I didn't want to miss sharing it. 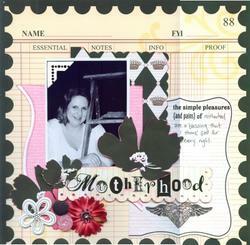 Layout by Lori Renn. Love all the details!!!! Look at this CARD! Isn't it clever???? Netty Coleman, I love it. So girlie and so cute. 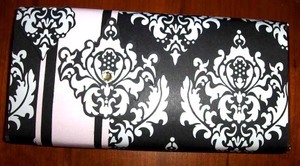 Oh, I love this candy bar wrapped so beautifully in the damask paper. This is created by Suzi Finer of www.iamadiva.com . It makes me want to do this too. What a nice little way to give someone a chocolate treat! Tomorrow is my crazy day. I have FOUR places that I need to be at the same time. At 6:30pm, we have DANCE lessons, Piano Performance Class, Ty's Baseball Game and Gentry and Taylors YW Medallia Recognition Dinner. They all start at the same time. I still do not know how I can pull this one off. Do you ever have days like this???? Watch for the free website class for April. I hope it will be up tomorrow, but it may be Friday. I had hoped I would have it up sooner. I am still going to do the free website class on a continual monthly basis. PS Diane and Laurie (Scrapbook Territory and Scrapbook Island) have informed me that they are going start sign ups for my classes SOON. I love both these girls- and cant wait to teach at their stores in August. Laurie's car was scratched up doing Valet parking at the hotel. I felt so bad for her- hope it all worked out!!!! Claudia, I loved your project. Please email a photo- mine did not do it justice. I am headed to Sacramento in the early am. I am going to the Joan Mills Rep. Show. I always dread leaving the family, but I look forward to the show. It will be a fast trip...home on Tues. night. I spent today with the kids. After church, Taylor and I watched Monster in Law with J. Lopez. I packed and now am ready to go. Off to get a few hours of sleep. I have a lot of emails that I was not able to answer. So if you emailed me, I will work on it on Wednesday. Thanks!!!! I think my favorite day of the week is on Friday. I love that my kids (the boys) have early day and come home to play with their friends. Then when the girls get home, it's filled with excitement. Today, Gentry is now gone for the first time driving by herself. She was nervous, so Taylor went with her. I'm so nervous right now. It's so hard to let go- and allow your children to do things at times that may hurt them. Driving is one of those things! Two days ago, I was on my way to Zach's baseball game. For some odd reason, I missed my usual turn to the park. I drive this route every week at least twice a week. As I missed the turn, I decided to not turn around and go another way. As I approached the road to get me back on course, I was shocked in that four cars at the intersection collided. One car (Yukon) went into the air and flipped several times, landing upside down on it's top. All cars were severely damaged. The Yukon had a huge tire that completely torn off the vehicle and was several feet from the car. I slammed on my brakes. I was RIGHT there- the cars could have easily hit or slid into my car. I got out of the car and watched from the road. A big man had went to the Yukon trying to rescue the people out of the car. The driver and occupants were trapped in the upside down car. I watched as the fire trucks, ambulances, and police arrived. I kept seeing the accident over and over in my mind. It really shook me up. It is the same intersection I would have been driving through had I not missed my turn. I kept wondering if I would have been involved in the accident. Had my error saved my life? The big man pulled out a young boy about nine from the vehicle. He was in complete shock. They worked and could not get the driver out. It was going on several minutes and they had not been able to get the driver out. I prayed and then the area was closed and they motioned for us to clear the area. I drove to Zach's game in a daze. I do not know what happened, but I have prayed for the driver of the Yukon and the family. I came home that night and had a family meeting with my family. I reminded them WHY we must always wear a seat belt. I reminded them that LIFE is fragile. I reminded them to DRIVE responsibly and if they are in a car with someone is NOT driving responsibly that they should get out and CALL for a ride. I know, I feel like all I do is lecture my kids. I just hope it makes a difference. Sorry for such a long story, but I think it's something as drivers we all need. A little reminder to drive a little safer and be more alert. 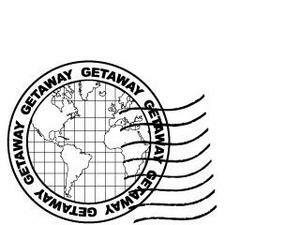 NEWS- many of you have emailed me about my new stamps. Wow, I got my stamps today. I have to say they are fantastic and I'm very happy with the quality. I did these stamps for Teresa Collins for Stampers Anonymous. 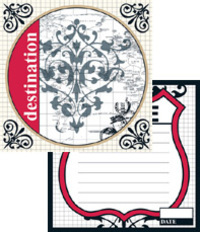 I have always been a big fan of Tim Holtz stamps and their quality. So it was so cool that I am now doing stamps with such a wonderful company. As always, Product Performers will distribute my stamps. I love one stop shopping!!!! 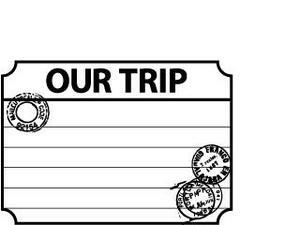 Also, you can purchase the stamps directly from Stampers Anonymous. I will keep you posted as to when the stamps are available to purchase. Also, for the store locater on my blog. I think I jumped too soon. I did not realize how many hundreds of stores would have to be added. We are working to set up a way on my website to add store locater information. I get so many emails asking for information where to find my products. I honestly do not have this information. For now, I would suggest you ask you LSS if they carry my line. If they do not, you can ask them to order it. I'm smiling here... Then if you need an on line source, I find that if you Google my name you can find sources too. Okay, time to take Zach to batting practice. The girls are all doing fun activities tonight with friends and the boys want to do sleep overs. So no date night for Ty and I. 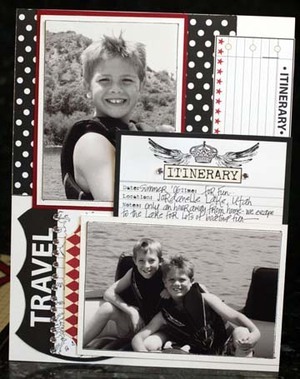 This layout is with photos of our recent family trip to Vegas. I have been getting A LOT of emails about the paper release. They are on my website now. Retailers can begin ordering Wed. April 30th- and shipping begins on May 1st. Did you notice I have added a category on my blog??? You can see now the stores (both brick and mortal) and on line stores that carry my product. 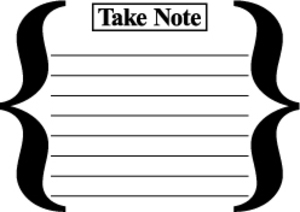 If you carry my product lines and want me to add you to the list- please email me. I get hundreds of emails and I would like to be able to let everyone know where they can find my lines. If a store carries all my collections, then I will make note of that. I know many of you want to get full lines. So we will see how this works out! Here is her birthday hat- sparkles and all. I wanted her to feel like a princess on her special day. 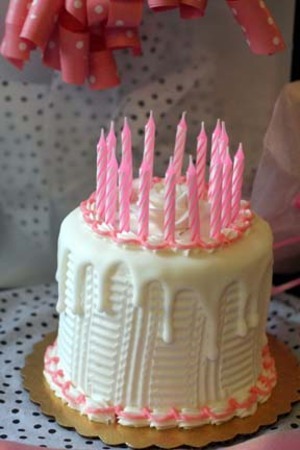 She is holding her birthday cake!!!! 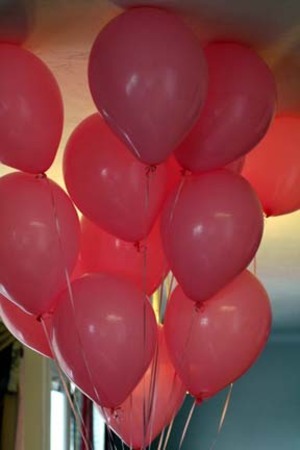 16 pink balloons...they are now in her bedroom- I put them in there (one by one) so they fill her room- so cute!!! I know this is silly, but I want my kids to feel SPECIAL on their birthdays...(well everyday), so I do SILLY STUFF. 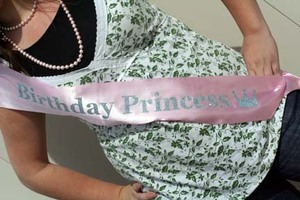 I got her this glittered pink Birthday Princess sash. She only wore in at home- for a little while. I know it embarrassed her, but it was cute to me. So there you have it...no big party- per her request. Just a little family thing. As for gifts, she really is independent and so she got money. This way she can pick out her own gifts... she loves to shop for clothes and shoes. When she is spending HER money, she is great to look for sales and find the deals. I want to post photos from yesterday- Gentry's birthday, but I am so behind on things today. I have two baseball games to go to in about 45 minutes. Both boys play at the same time...so Ty and I will divide up. I am so grateful TODAY for the sunshine. It makes me happy!!!! so these will show you at least the images. I can't thank you- each enough for the posts and comments from my sneak peak. I had so many personal emails too. THANK YOU! Okay, so today- I want to share a little bit more. 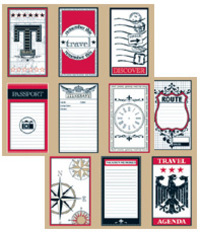 This new line is named TRAVELOGUE. 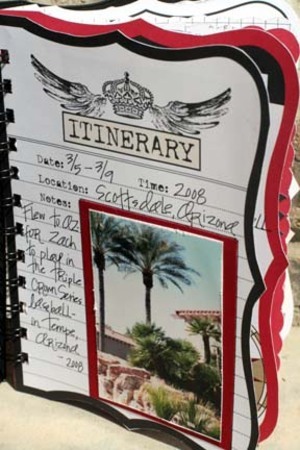 I wanted to do a travel line that was EASY- similiar to journal-it- to document any trip. I made the line very universal in that you can use it to document ANY TRIP- local or international, a day at the beach, or a trip to visit a relative. I knew at CHA that I was going to do more lines that JUST MADE SENSE to me- meaning, I want to create lines that INSPIRE others and help us to DOCUMENT our memories (and make it easier to do!!!). I appreciate your comments, I read every single one of them. 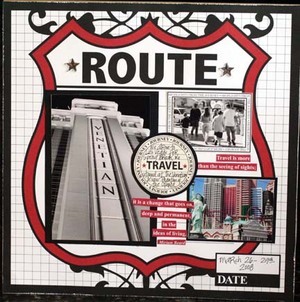 So I knew before CHA that my new line would be TRAVELOGUE. This is my FIRST ever Travel line. I have been wanting to do this theme for a long time. 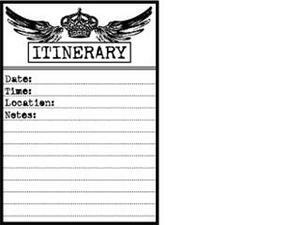 Since I do love to travel, I wanted a line that incorporated journaling tags and icons that I love. 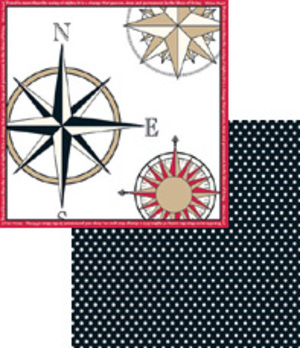 This line has FOUR different die-cut shape papers that go with the line. Yes, FOUR. Thankfully, everyone is LOVING the die cut papers and so there will be four for this line. 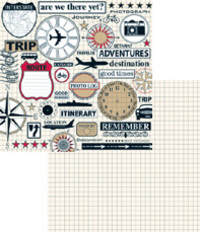 I created a TRAVELOGUE book class with the these die-cut papers. Here is just a few of the pages... (ps it is a class of mine- so I will be teaching this project!!!) This is my new black shaped chipboard album covers. They have NOT shipped yet. Brand NEW!!! This cover is from my tag paper. Of course, I had to have a black polka dot paper. Like some of you, I LOVE polka dots. I tell my friend, Janna that I did this paper just for her. We both love them!!! This is one of the die-cut pages. I simply put a photo of the palm trees where we stayed at. Here is another view....more die-cut pages, mixed with tags from the 12x12 papers. I love how with the Bind it All I can customize my projects!!!! Another view....I did this entire 26 page project in about 1.5 hours. It went fast, using the die- cuts. I cut my tags out with the Dream Kuts and it went super fast. So here is my sneak peak of the die-cuts from the line. I appreciate your comments. I am thankful for your support and for all of you have asked your LSS to carry my products. It is something that I am humbled by. I made the right decision to do this on my own- with Product Performers (the most amazing distributors!!!!! ), and create from my heart. I have never been so scared but excited. I am taking it slow. I do not have hundreds of sku's coming out. I am taking baby steps. I am so happy to do what I love. I feel so blessed.... I can't thank you enough. HAPPY HAPPY HAPPY 16th BIRTHDAY GENTRY.... I love you MORE than ANYTHING you can SAY, THINK or FEEL.... (on my way to pick up her 16 pink balloons and the Banana cake that she wanted)...I'll post some photos tomorrow and of course another sneak peak. FYI- the new line with be up on my website on April 30th. Shipping will be on MAY 1st. THANK YOU again. Also, my class for retailers at Joan Mills Rep Show- next week sold out... If your in the class email me. Thanks!!! Stamps! yay!! I am lovin your current papers, can't wait to see this new stuff, and it comes out right before my birthday! Hehe. congrats Kimmy- please email me your address!! !- I will post more sneak peaks tomorrow on the blog. So here is the first peak at my new line. I know it will GIVE IT AWAY...what they theme line is. However, I will still post something EACH day this week. Everything you see on this layout is part of the new line. (with the exception of the Prism White & Red Card stock). So can you tell what theme I designed???? Here is a closer view... anyway I have been designing projects with my newest line this past weekend. I have found them very easy to use. So what do you think???? Please still post on the last entry as well. My cute Gentry who will be 16 tomorrow- wants to pick the winner tonight. So your not to late!!!! Last night our family watched The Ultimate Gift on DVD. Have you seen this movie???? I cried and laughed and felt so appreciative for the message of this movie. It is a about a wealthy billionaire who died, and left a GIFT for his grandson. The grandson is very into the world of luxury and privilege. He appreciated nothing and was selfish. In order to receive the gift he had to do certain tasks. Each one of them would teach him a lesson. He learned several lessons... The lesson of work, the lesson of friends, etc. In the end, he received The Ultimate Gift. I won't share it, since it would ruin the movie for you if you have not seen it. I'm so surprised how busy that I've been lately. Just when I think things are going to slow down a bit. Well, anyway...there is reasons I have been so busy. So I've been DYING to tell everyone. So tonight, I thought I would share. 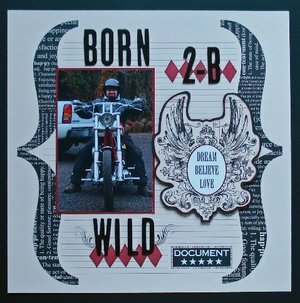 I have designed a new paper line & 24 stamps that will be RELEASED on May 1st. Yes, I was so inspired right after CHA W and came home that week and did this line. I have been playing with the papers this past week. I am so super excited. In so much, that SOMEONE- one of you will WIN the new paper collection by posting today. I will mail out the papers to the winner on May 1st. Now, I know you will hate this, but I am only going to give you HINTS about WHAT the new line is. I KNOW...mean! Anyway, I think you will find that this line is a must have...it's very similar in feel to journal-it. I know not a huge hint, but you know it's a start. 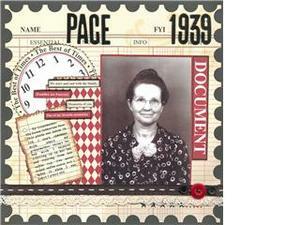 EVERY day...I will start posting SNEAK peaks of my NEW papers and stamps. Any guesses???? Today we had two back to back baseball games. My son Zach hit a grand slam home run. Our team was down when he brought in the four runs. Then due some errors, the other team came back and won by ONE run. That is fine, but the problem was that one of the fathers from the other team, was OUT OF CONTROL. He was talking smack to all of the parents on our team. When one of our players made an error and the run came in, he yelled- JUSTICE, now that is what you get- JUSTICE. Then this man, got into the face of one of our fathers and told him over and over that he was "WHITE TRASH" and lots of the F word. It grew heated, in that the fathers from both teams and some moms, were going at it. I have been to hundreds of Zach's games, and honestly- this was a new level of CRAZINESS. I could not believe it. I was so saddened to know that the boys- 10 year old boys- had to see GROWN up men- call other men names. It was horrible. I wanted to stand up and yell..."it's just a game." Anyway, we lost and the boys were deflated. We rarely lose, but honestly, it's good for them to lose. YOU GROW by failure sometimes. Anyway, so loved watched Zach play. I am still shocked at the parents, and thankfully this is so not the norm. My son Matt left today for Chicago. He attends BYU and he did his last final today and then caught a plan in the afternoon. He is doing what he did last summer- selling home alarm systems, for Protection One. I was so hesitant last summer, but it was not a hoax and Matt earned 80K in 16 weeks last summer. I know UNREAL! He was one of the top sells men of the year for the company. Now, he is going back as a manager (still selling) and has 36 people to manage. I miss him already. Wow, I'm proud of his ambition and drive. He is only 22 years old. I only tell you this, because we always hear the horror stories of people getting scammed. Well, with a lot of work and effort, you can earn great money if you work with reputable companies. Have fun Matt- we love and miss you!!! Gentry was kidnapped out of her bed this morning at 5am. She was initiated as a MHS Spartonian (dance/drill team) member. They raided her closet and made her wear like 5 layers of unmatched clothes. Her top was a bathing suit. They blindfolded her and all the new girls and if they peaked, they got squirted with a water gun. They went to a girls home and played games, ate waffles, and got to know each other. It sounded like a lot of crazy fun. High school memories...the best! I love the layouts that your sharing with me. LOVE...just know that I will start sharing them again. However, my computer is having some issues and I am using my husbands laptop until my new cord arrives. I still will continue to share, no worries. I love seeing them too- thanks for all your comments. So post a comment, and you could win the newest BRAND NEW paper collection hitting the stores beginning MAY 1st. If you are a store and reading this....MAY 1st will be the day we will start taking orders on the new line. However, each day on my blog...you will be able to see sneak peaks.... I have been so wanting to share this so TODAY I feel so happy. PS Marilyn, I want to thank you for touching my life. I am truly BLESSED to know you and call you my friend. Your example of love, and kindness are so cherished. Your one FANTASTIC mother. I think you need to start scrap booking now...K??? It was 2:00am on Tues. and I thought I was going to faint. However, when I am in the "creative ZONE", I can't stop. 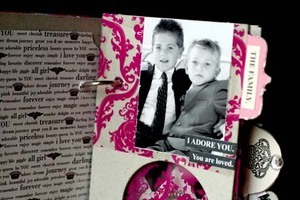 Since I can't say yet, WHAT I am releasing, I will say that I am trying to make scrap booking easy for all of us. With Journal- it or Damask...I could use this line for ANYTHING. So my vision is to keep creating my lines with that in mind. I will be going to CHA Summer in Chicago in July. The house is moving along. It's pretty slow. I gave my kitchen table away to a friend of mine in Utah, that I met through scrap booking. I love that she could use my table, since I no longer have a formal dining room. I watched American Idol and The Biggest Loser last night. Did anyone else? David A. did great. I was wondering how he would sing a Mariah Carey song. I watched Biggest Loser, because I LOVE the final show. I rarely watch it, but I like this one- where you see how much they ended up losing. It's very inspiring. 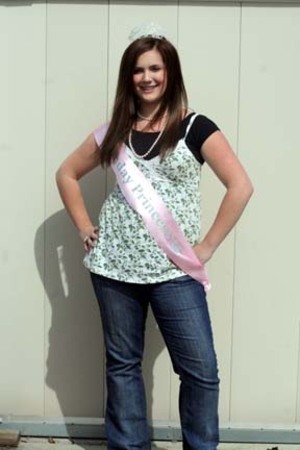 How in the world did the winner- Ali- lose 112 lbs in 22 weeks? That is insane!!! Honestly, I can't imagine how many hours a day you would HAVE to work out. Plus, how much do you think she eats? She won 250 K and is very thin now. I noticed most of the people who lost the weight had extra underarm skin. The body is not meant to lose weight so fast. Anyway, it was great for me to ONCE again think about where I am. I am EXACTLY the same weight. I have maintained. I am not focusing on losing weight, and so I haven't. I WANT too, but there is more important things right now in my life that I focus on. My focus is to MAINTAIN, which I do find really hard some days. I needed a BREAK!!! That's the story. I was tired of the mental process after 19 months. So I took a few steps back about 6 weeks ago. I decided to take a little hiatus, but maintain what I have done so far. I am happy to say that I have lost 46 lbs.-50 lbs. Depending on the day! However, I do have the feelings coming back that I want to start it up again. I want to realistically lose 20-25 more lbs. Zach's team won the entire Championship last weekend. The team is full of cute TEN year old boys. I love watching these boys grow and play together. Zach hit one over the fence, and is doing great. He told me this morning, that he things about BASEBALL all day long, and that at night he hopes he DREAMS about baseball. Funny guy! Big things going on- Taylor is getting ready to graduate next month. (Her gums are still hurting her). Gentry will be 16 on the 22nd. I can't believe it! I wanted to do a big party for her. She informed me, or better yet BEGGED ME- not to do any party. Gent said she hates being the center of attention and it just is awkward for her. She made me PROMISE not to throw her a party. We still will celebrate, but with our family. Oh, I have been getting so many layouts sent to me. I will keep posting them. I TRY to post as many as I can. This is a darling composition book by Sesil Cratin. I love creating my own books too. How great is the bold red with the Damask collection? This is a Damask layout by Alex Hobson. She sent this to me, and told me that after her husband saw it- he loved it. I love that! I love that HE got it, and supports her. Her layout was created from a sketch inspiration. This is a altered project by Cindy Gilchrist. 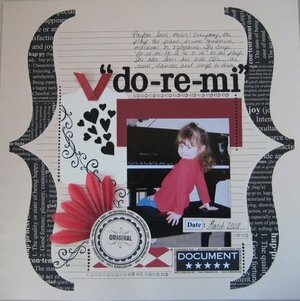 What a creative way to use Journal-it! This is by Jenn Emch. Isn't the photo great? 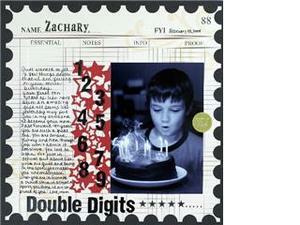 I loved her simple but eye catching way to document her son, Zachary's DOUBLE DIGITS birthday. This CUTE Bella Girl layout is by Jill Brush. First, how sweet is this page. 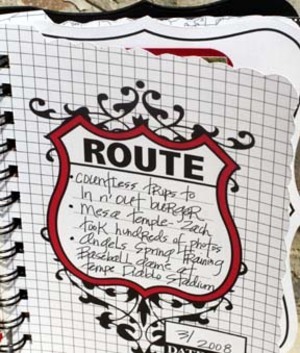 I love how she incorporated the journaling on the page. It works great! This darling page is by Lori Kaye. I loved how she did the bottom of the page, the ribbon with gems, the title, oh... I love the entire page. She is a beautiful girl- and I love the title LOVE me. This last page, is by Susan Goetter. 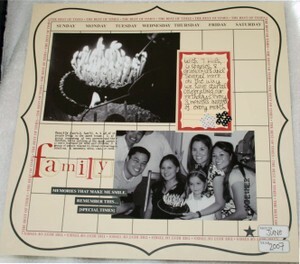 I am happy to see that she used my line to do her heritage layout. 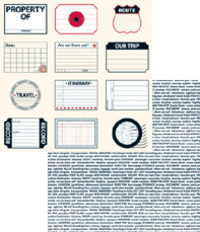 It is perfect for documenting any time or occasion. I appreciate seeing how everyone is using my products. It truly makes me happy!!! I must get back to work...I have to clean out my laundry room today. Have a great day! It's early Sat. morning. I am headed to watch Zach's team play today. We are #1 seed going into the games today. We should have three games. It's still pretty cold here, so I am dreading being outside all day. However, I'm excited to go see him play. I missed all the games yesterday. Taylors surgery went well. I did not realize how much she would bleed. I decided to leave the room after she was all numb. I did not want to see the procedure. It was amazing how different her teeth looked with the gum surgery. Wow! It's pretty crazy...but the gums can grow back, so she has to be diligent in brushing her gums. Taylor has tiny teeth, so this made a HUGE difference!!! OKAY, I have to admit, I have fallen off the wagon. I have not been to the gym in almost 6 weeks. I am so disappointed in myself. It's such a pattern for me- all or nothing. I am finishing up my last two paper lines and I am getting myself to the gym. 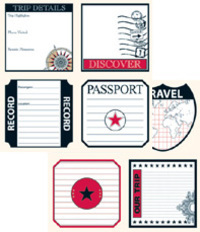 Bek got a awesome opportunity- she is working as a marketing director for a stamp company now. So we have not been good to make the time to go. I want to THANK everyone who is sending me layouts. Wow...thank you. I will TRY to post as many as I possibly can. I love seeing EACH and EVERY one of them! 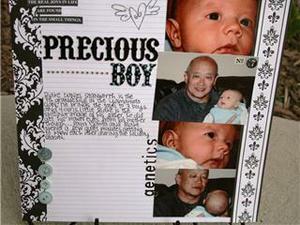 Here is a layout by Katie Squires. 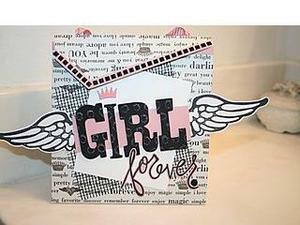 Love how she mixed Journal- It and Bella Girl die cuts...clever!!! Doesnt' this layout catch your attention???? 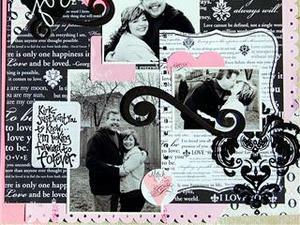 Debbie Danielson created this WILD layout. I loved her creative use of the papers...and how she focused it on her husband. Great Photo!!!! Off to the ball park. The weather is starting to warm up here. This is something that makes me happy. My favorite time of the year in Utah is Spring. It is the best! Zach starts a baseball tournament tonight, so in the next three days we will have about 7 games- give or take. Unfortunately, my other son Ty has a game at the same time tonight. I feel so torn. I wish I could be two places at once. Plus, we still have piano and dance lessons to add in the schedule. To be honest, I LOVE my busy life. I love that my kids are so busy. I love the fact that each day after school, I hear the sound of the piano playing for a couple of hours. I cherish that my time is spent being with those I love most. I see how fast my kids are growing up and so I focus on each day. Last night, I climbed into bed with lil' Ty to read him a bedtime story. His bed is a bunk bed-that he shares with Zach... and I couldn't barely fit in the lower bunk with all his stuffed animal dogs. I read the story to the boys and then told them a STORY. Ummm...this is not my strong suit. Afterward, we said prayers, and I told them I would fall asleep with them. I really needed to work on some emails, but I felt this was more important. Two hours later Ty came and took me to my much larger and more comfortable bed. So tomorrow, Taylor will have gum surgery. After her braces were off, the gums still seemed to cover a lot of her teeth. She has tiny teeth too. So I will have to miss two of Zach's games in the morning, so that I can go with Taylor. I hate to miss his tournament games, but I need to be with my daughter . I know she is nervous, but it will be great when it is all done. I love sharing projects that are sent to me, or others that I come across. I hope you enjoy seeing them. This is by Liz Qualman. I LOVE what she did here. Sometimes those dance recital photos are so hard to document. I love how she included the CALENDAR and so many of the various papers from Journal- It. Great layout Liz!!!! This DAMASK layout is simply SWEET! 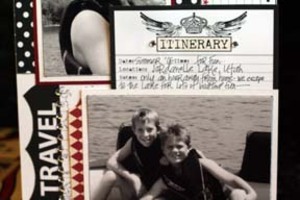 I love the multiple photos and the journaling within the layout. This layout is by Lara Scott. It has been such a crazy busy week for me. I am thankful for good friends who call or email me- and always help me to keep positive. Thank you!!! I am so happy to say, that my classes for Scrap A Ganza in The Netherlands are done. It takes a lot of planning and thought to teach a class in another country. I had to consider the time I had to teach the project, language barrier, etc. So I have spent countless hours dwelling on WHAT and HOW to best teach my classes. Ty and I are looking forward to going together. I would not want to travel alone. I am a big baby...and need security. For me, Ty is that big security blanket. Plus, he is the BEST assistant in classes. The house is coming along. I actually have contractors who arrive on time, and do what they say. So it is making the experience so much better. We are waiting to demo the kitchen, until a week before the cabinets are ready to be installed. They are aiming to have us out of our kitchen for only 2 weeks. Hope it works out! This is from Jill Geraghty-Groves all the way from Australia. How creative is this??? I LOVE it. I so happy to hear that my lines are finally made it to my Australia friends. I am watching American Idol GIVE BACK with the kids now...these stories are heartbreaking. Thankful that they are doing this...we can all help!!! I wish I could say that I am doing well with all the commotion of construction, but it is really HARD for me. By nature, I like to have things in order. Well, my house is far from that. When you walk into my house- you see my living room packed with furniture. I had to move my dining room (which will not be part of the new kitchen) to the living room. I have dust everywhere. We have been without our upstairs bathrooms for five days now. The positive is that I love the travertine...plus, we have a great contractor, who found it for a great price. The hard part is that I am constantly working on my lines, classes, etc. 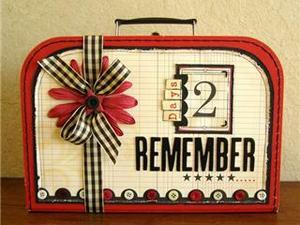 and I have to spend a lot of my time right now packing up our household items, going through items to donate,etc. So I decided today to take one project at a time, and not let the chaos get to me. Plus, I realize I need help. Gentry came home from school today and asked if she could help kits my kit for the UK class. I hugged her so hard, and had tears in my eyes. I realize I can only do so much, and her help with lighten my load. As mothers, I think we all can relate to feeling the pressure of doing what we each consider a good job. My church has a General Conference this past weekend. I was touched by so many of the messages that were spoken about. I was particularly touched by a talk that spoke to the mothers. As mothers we are so blessed to raise our children. We have very little time with them, so it's important to use our time wisely. My sister called me this weekend, her ex-husband's girlfriend, has a daughter who at the age of 13 was hospitalized last week. This young girl was cutting her self and doing the drug Oxycontin. I could not believe it. It's truly heartbreaking. It makes me so sad. My sister cannot allow her daughters to visit with their father right now because of the environment within the home. by Lori Renn. I so enjoy seeing all of your projects!!!! 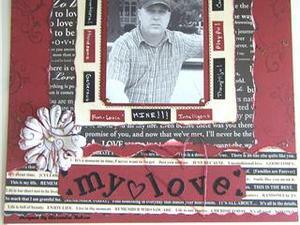 This layout is by Pamela Young. 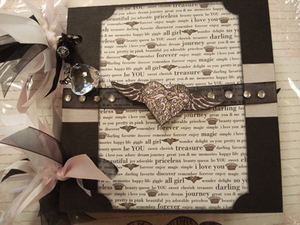 I love how she cut out the die cut wings and added dimension to the page. Love her journaling too! This is Lynn's Layout. (please email me the last name so I can give Lynn credit!!!) I SO love her style, her photos, it's just a cool and hip BELLA GIRL page. Doesn't this page make you want to take some silly/cool photos???? 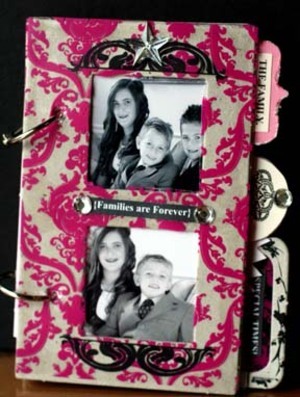 This layout is using the 12x12 Calendar page from Journal It by Lara Scott. I think this is a great page showing how you do not have to use it as a Calendar. I can't express how much I enjoy seeing all the creations. Off to go for a drive with the family. Hope your weekend is great. Yesterday, I did a long blog post and had a few layouts that I have come across to show. After about 45 minutes and a long post- I went to save my post. Unfortunately, I hit the DELETE button. I seriously wanted to CRY. Have you ever done this???? I was so frustrated with myself, and did not have time to redo my post. Our home is filled with construction- my bathroom and the kids bathroom is in the process of being tiled. We are starting to demo the kitchen later this afternoon. I am so excited, but dreading all the discomforts of being without a kitchen. However, I am so grateful for the extra space this will provide for my family. So with all the negative, I know I need to be thankful and appreciative. Isn't attitude everything??? I tell my kids that EVERY DAY. So I am very busy and need to head to overnight some designs to the printer, and drop a carload of out grown clothes (boys) and toys to DI (goodwill). I will post a couple layouts that I've come across. I will try to post more each day this weekend too. 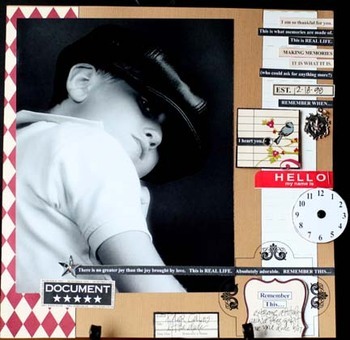 This layout is by Yvonne Blair. How cute is this page??? Love her journaling. 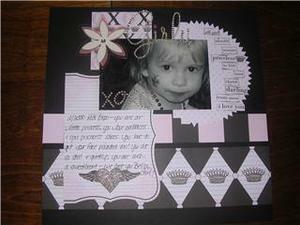 This is a project by Rachiel that is a class at Paradise Scrapbook Boutique in Paradise, CA. 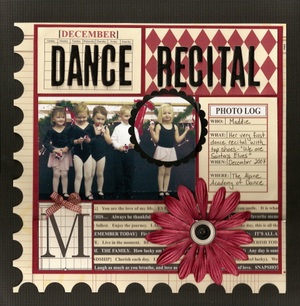 I really love how she used the Bella Girl diecut paper for the cover. This is very cute!!! So this is another GREAT layout. 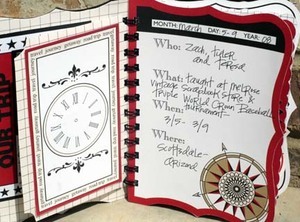 Grace Tolman used journal-it line and damask, in such a clever way. I LOVE her title!!!! FYI- I will be teaching at the Joan Mills Rep Show at the end of the month. I can't wait!!!! I feel like that should be my new name- Juggler. I am constantly trying to juggle everything. You know strive for balance. It's one of those things that I really have to work at. I wish I could say that I have some great secret for success, but I don't. However, I have learned so much in the past few years- and I am getting better at it. I've learned to take TIME for what is most important. I've had to learn to say NO to amazing opportunities and learned to accept that I just can't do it all. So yesterday, I scheduled in lunch with my friend Jamie Van and Becky. I know crazy, but it's hard to sometimes take a BREAK when you have a million things to do. Jamie owns an amazing site called COORDINATES COLLECTIONS. I met her a few years ago, at a trade show. She has a great shopping site with monthly kits. I have agreed to sponsor a little contest that is going on there...so check her out. Even, though we talked SHOP a bit...it was really just the three us of us chatting about LIFE...our KIDS...husbands...you know the drill. It is amazing what a little lunch with girlfriends can do for your soul. Then I had to run and purchase WHEELS for last nights PINE WOOD DERBY. Yes, I missed David A. sing last night. I heard he was amazing, but I will watch it later on YOU TUBE. After, purchasing the wheels, I came home to meet our remodeling contractors. FINALLY- we signed the contract to start the kitchen remodel. Not only are we doing the kitchen, we are doing so much more. So much, that I'm stressing out. It was one of those things, that all of a sudden, your home needs a face lift. We have been in our home, for 11 years now. All of a sudden, it seems we need to re paint, re carpet, little things breaking here and there etc. 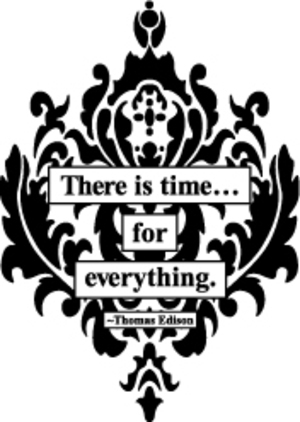 So I will be juggling a major renovation, product design, family... life...and take it day by day!!!!! Last night, after baseball practice and the Pine wood Derby, I was able to scrapbook some projects for SCRAP FOR A CURE They provided such a nice kit selection. 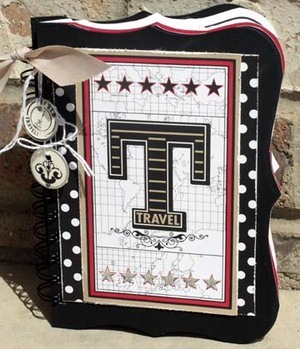 This kit has Bella Girl and Journal IT in it. 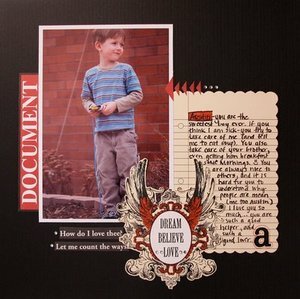 The kit has this darling chipboard book by Tinkering Ink. I used the Hambly transparency to cover the book. 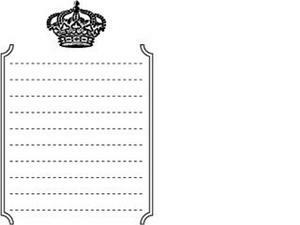 I then used my papers (crowns/ journaling) for the inside pages. I had to make myself stop and go to bed at 2 am. Thankful for the chance to play with their cool kit. 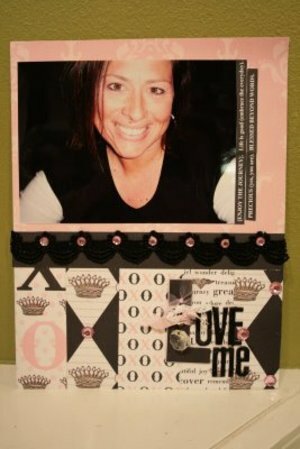 Heads up- California Girls...Jamie Harper is teaching at SCRAPBOOK OASIS in May. She will be doing photo shoots and a darling project. So check out the website- you do not want to miss this opportunity to have INCREDIBLE family photos done or take her class. The project she is teaching features some of my products, so check it out!!!! 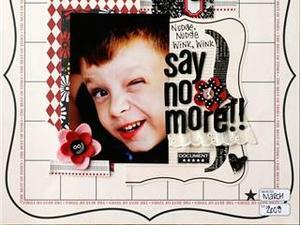 Check the blog tomorrow...I am posting a few layouts that I have seen using my products. YOU never know if I will post yours.